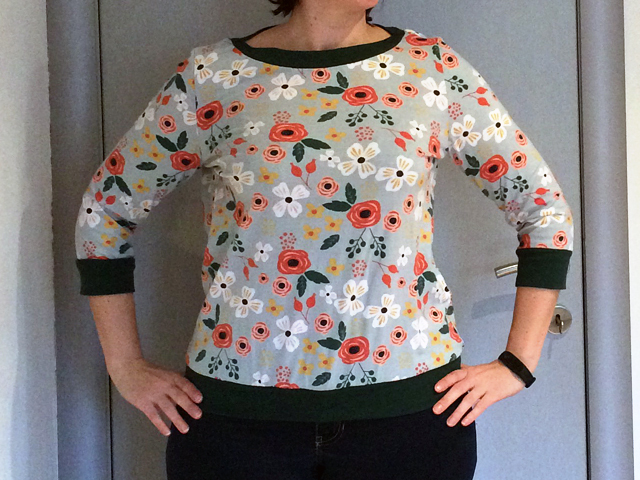 When I bought the purple fabric for the cache-coeur pullover, I also bought this flowery fabric with the intention of making a second cache-coeur pullover with it. 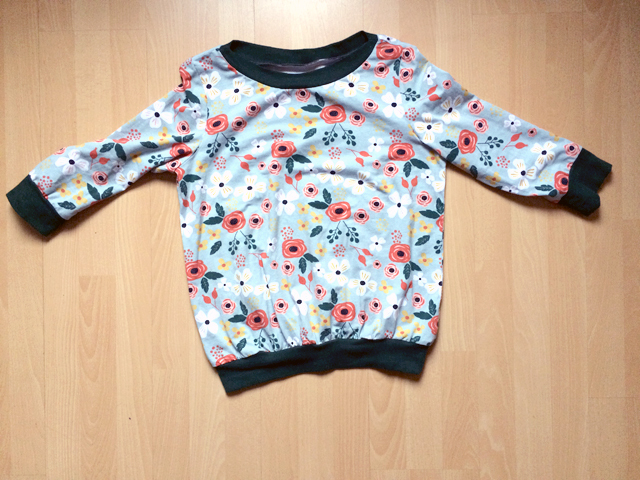 However, since I wasn’t that pleased with the end result of that sweater, I decided to use the fabric for something else, namely a simple sweater pattern by La Maison Victor, the Aster. For this, I needed to return to the fabric store to buy hemming fabric. 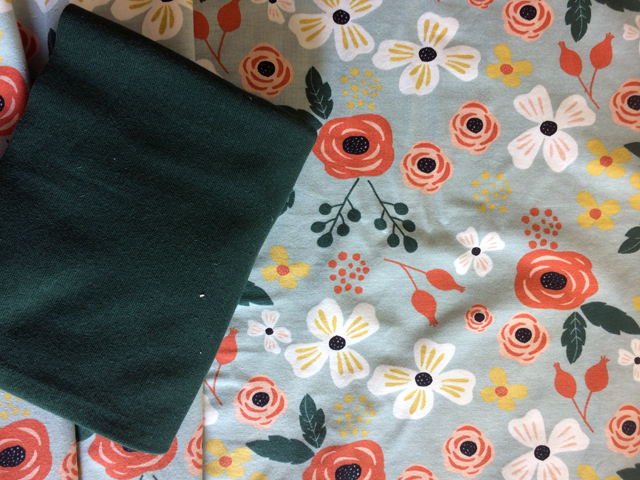 I had first thought to buy black, to match the centers of the flowers, but eventually went for a deep green, and I’m really glad I did, because it gives the fabric more depth. I’m really pleased by the result of this relatively easy pattern!